NEWARK, N.J. – Two Hudson County, New Jersey, men appeared in federal court today to face charges that they conspired to kill a gang member who was suspected of cooperating with law enforcement, U.S. Attorney Paul J. Fishman announced. Juan Pablo Escalante-Melgar, a/k/a “Humilde,” 27, and Elmer Cruz-Diaz, a/k/a “Locote,” 28, both of Union City, New Jersey, were previously indicted on one count of conspiring to kill an individual to prevent them from communicating with a law enforcement officer. Escalante-Melgar and Cruz-Diaz were arraigned this afternoon before U.S. District Judge Claire C. Cecchi and were detained without bail. They were originally taken into custody on Sept. 3, 2015, on immigration charges. 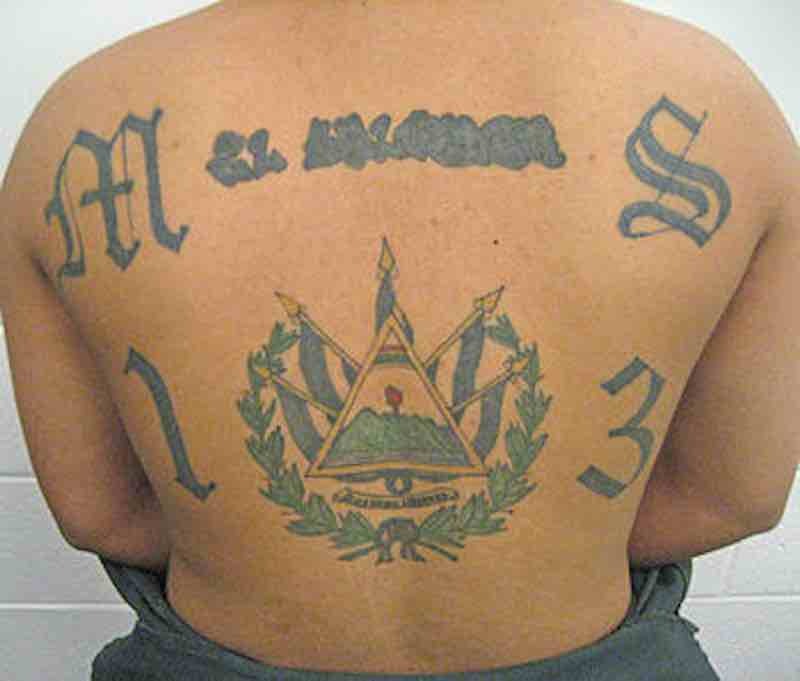 Escalante-Melgar and Cruz-Diaz are members of the international street gang Mara Salvatrucha, commonly known as “MS-13.” Multiple sub-sets, or “cliques,” of MS-13 operate in Hudson County, including Pinos Locos Salvatrucha (Pinos clique) and Hudson Locotes Salvatrucha (Hudson Locotes clique). Escalante-Melgar was the “First Word,” or leader, of the Pinos clique; Cruz-Diaz was the First Word of the Hudson Locotes clique. MS-13’s rules strictly prohibit cooperating with law enforcement, and it is well understood within the gang that police informants will be punished by death. The process of obtaining authorization to kill a disobedient gang member is known as “green-lighting.” Obtaining a “green-light” typically requires the authorization of a clique leader and, in some cases, approval from gang leaders in California or El Salvador. When preparing to kill disloyal or disobedient gang members, MS-13 often assigns gang members to follow the targeted individuals to learn their patterns and movements, enabling the gang to carry out the murders at opportune times without alerting law enforcement. On Aug. 11, 2015, law enforcement intercepted a telephone call between a high-ranking MS-13 member in El Salvador (Gang Leader 1), Escalante-Melgar, and another MS-13 member. Gang Leader-1 told Escalante-Melgar and the other MS-13 member that they needed to kill three individuals, including Victim 1, a member of the Hudson Locotes clique who was suspected of cooperating with law enforcement. On Aug. 16, 2015, Escalante-Melgar spoke by telephone with another MS-13 member and confirmed that four individuals, including Victim 1, had been green-lighted. Escalante-Melgar explained to the other MS-13 member that the gang would take its time carrying out the murders in order to prevent gang members from being arrested. On Aug. 31, 2015, Cruz-Diaz and Escalante-Melgar had separate telephone conversations with another member of MS-13, during which the MS-13 member informed Cruz-Diaz and Escalante-Melgar that he had seen Victim 1 on the street in Union City. Cruz-Diaz ordered the MS-13 member to follow Victim 1 to see what time Victim 1 left and returned home. Cruz-Diaz also informed the caller that another MS-13 member had been assigned to follow Victim 1. Escalante-Melgar acknowledged the information and instructed the caller to contact Escalante-Melgar with developments. The conspiracy charge carries a maximum potential penalty of life in prison and a $250,000 fine. The charge and allegations made in court documents are merely accusations, and the defendants are considered innocent unless and until proven guilty. U.S. Attorney Fishman credited special agents of the FBI, under the direction of Special Agent in Charge Timothy Gallagher in Newark, Immigration and Customs Enforcement’s (ICE) Homeland Security Investigations (HSI), Newark Division, under the direction of Special Agent in Charge Terence S. Opiola, and ICE’s Enforcement and Removal Operations (ERO), under Newark Field Office Director John Tsoukaris, for the investigation leading to the charges. He also thanked the Hudson County Prosecutor’s Office, under the direction of Prosecutor Esther Suarez, the Union City Police Department, and the West New York Police Department for their work on the case. The government is represented by Assistant U.S. Attorneys James Donnelly and Jamari Buxton of the U.S. Attorney’s Office Criminal Division in Newark as well as Trial Attorney Matthew Hoff with the Justice Department Criminal Division’s Organized Crime and Gang Section.